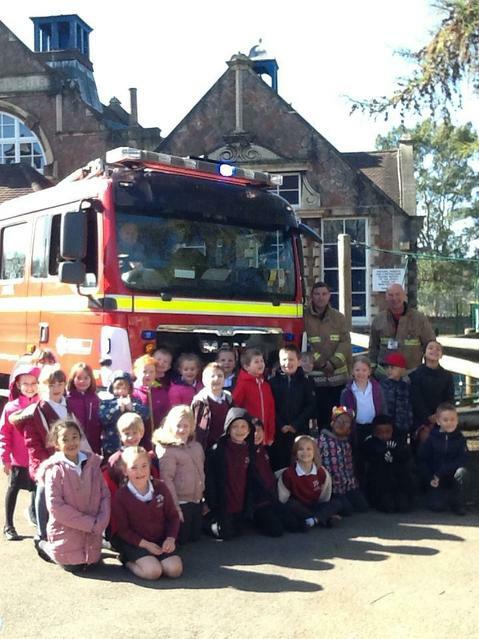 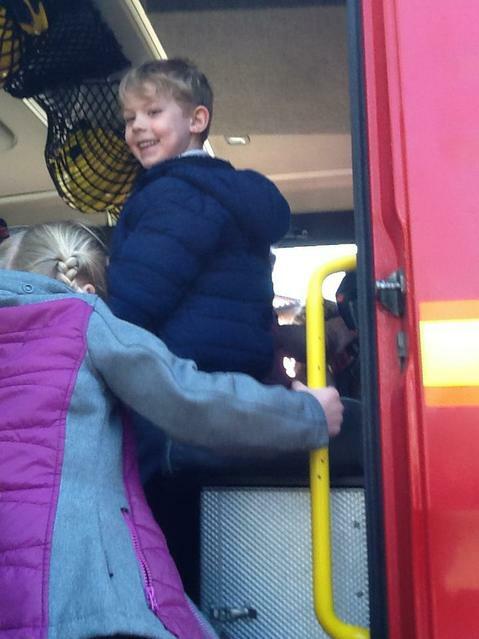 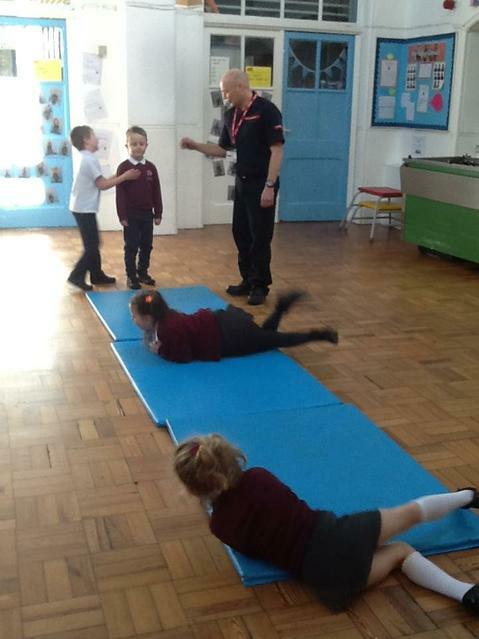 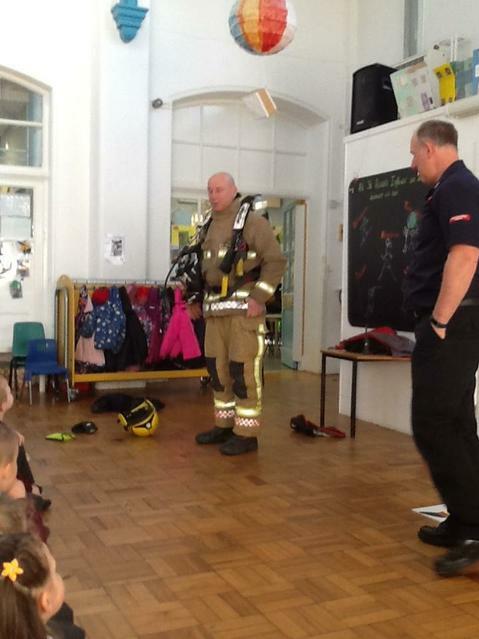 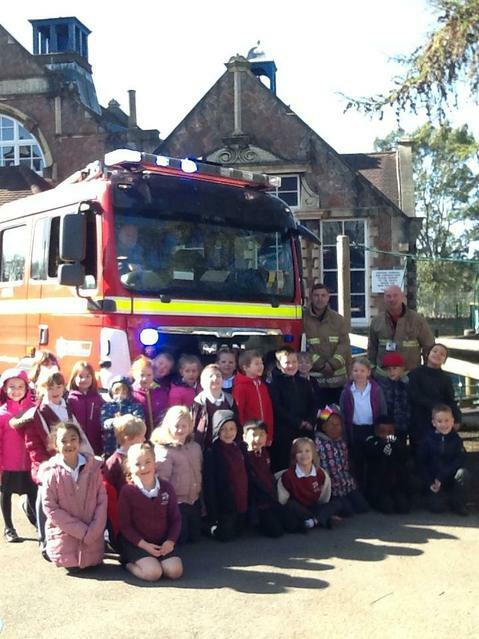 We were visited by Avon Fire and Rescue Service today (25.03.19) who taught us all about fire safety. 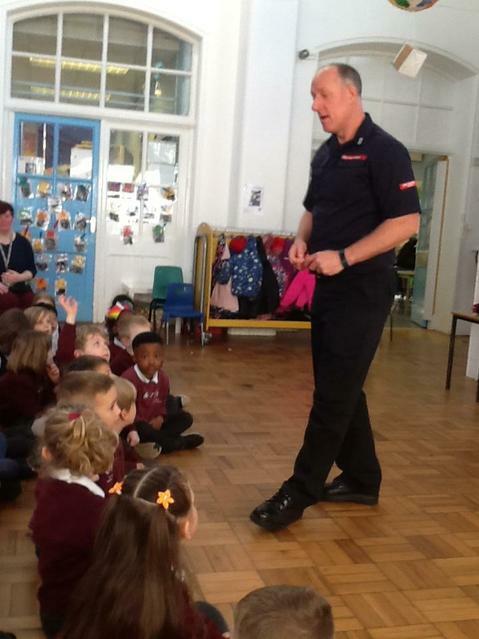 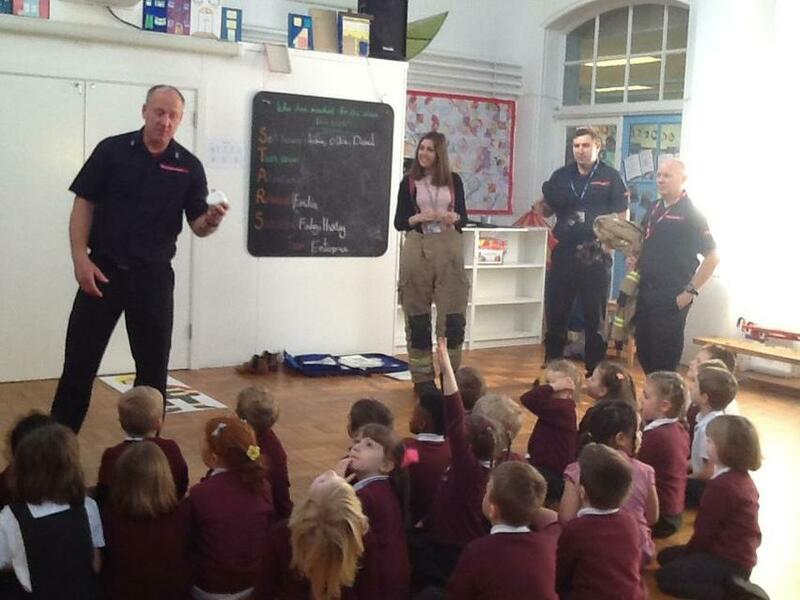 We learnt about the role of the fire service; what to do if there is a fire and the dangers of fire. 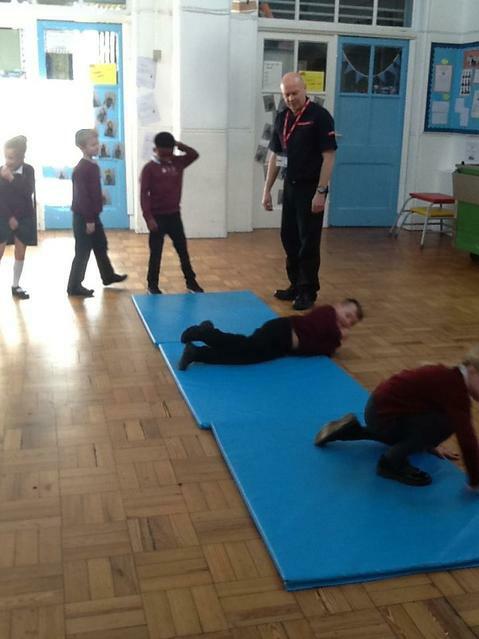 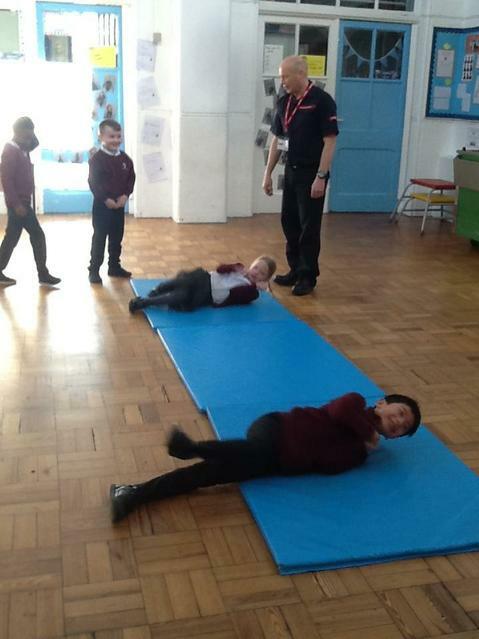 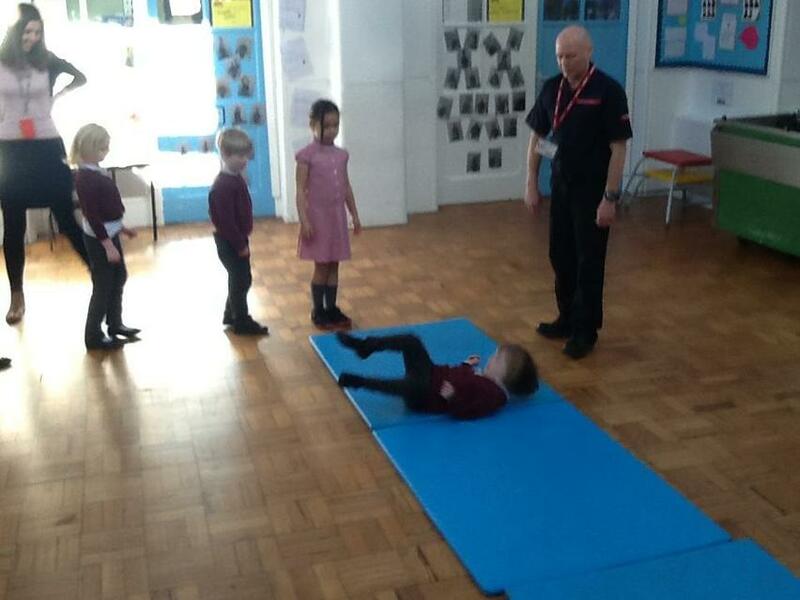 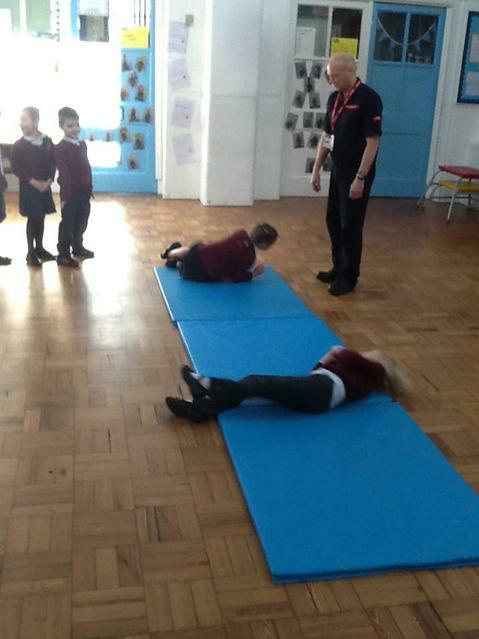 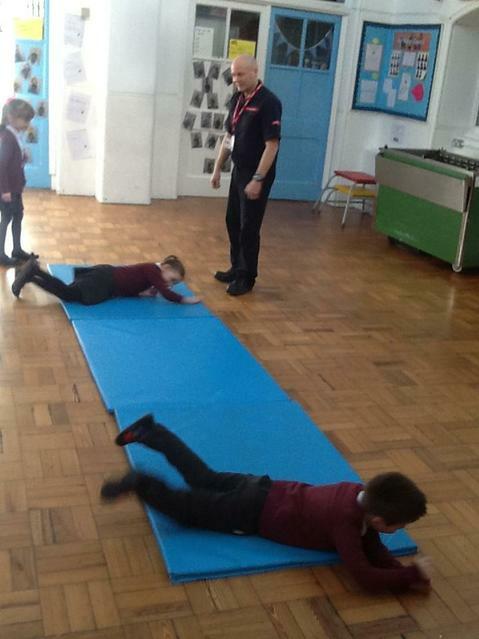 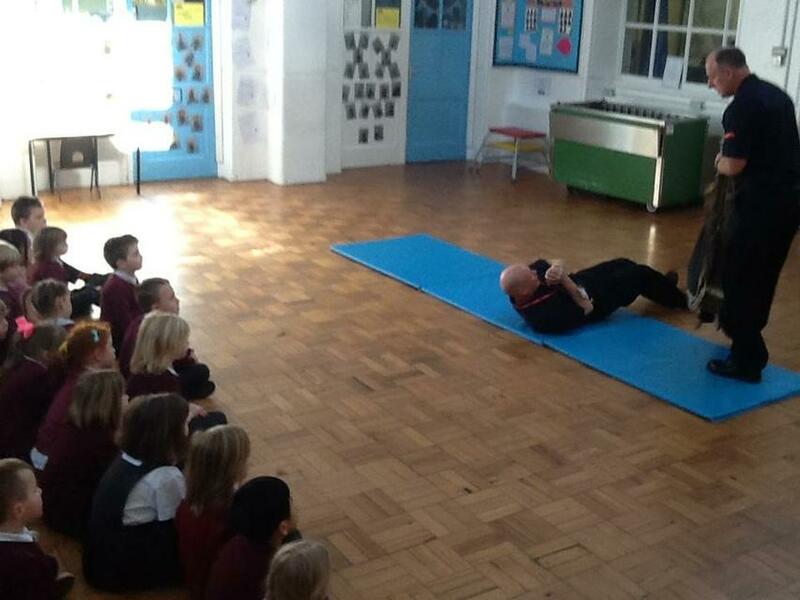 We learnt how to use the 'stop, drop and roll' technique if we were ever in danger. 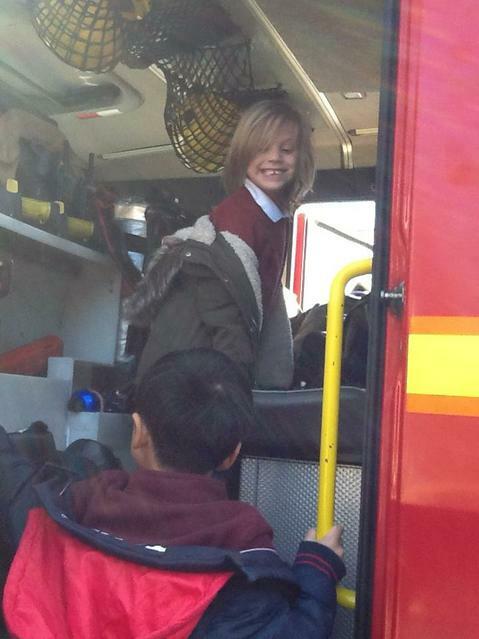 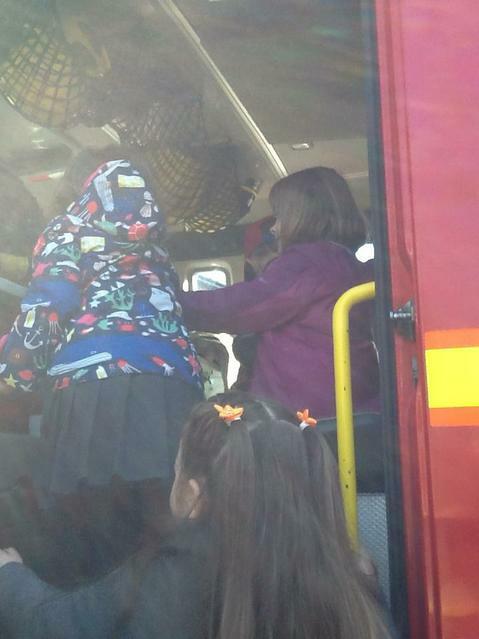 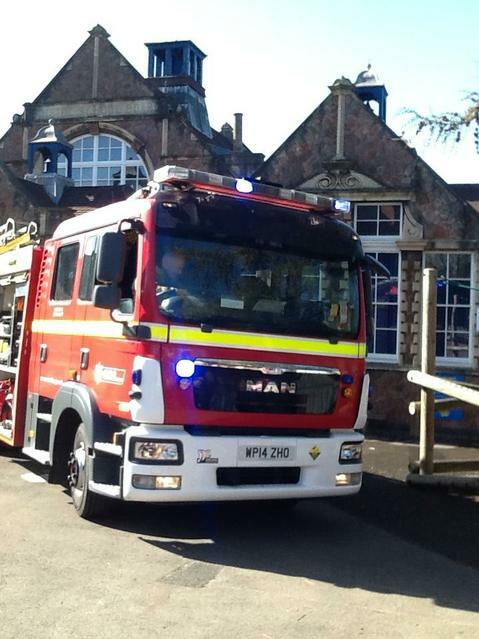 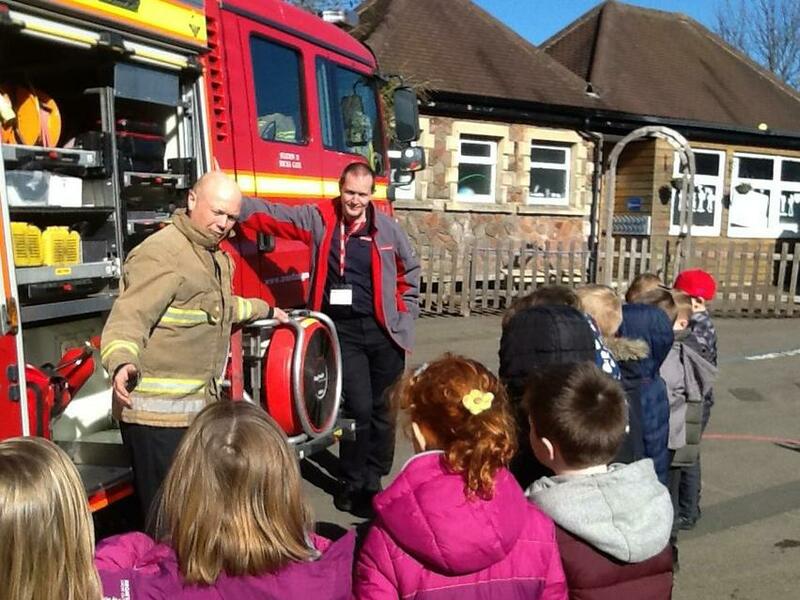 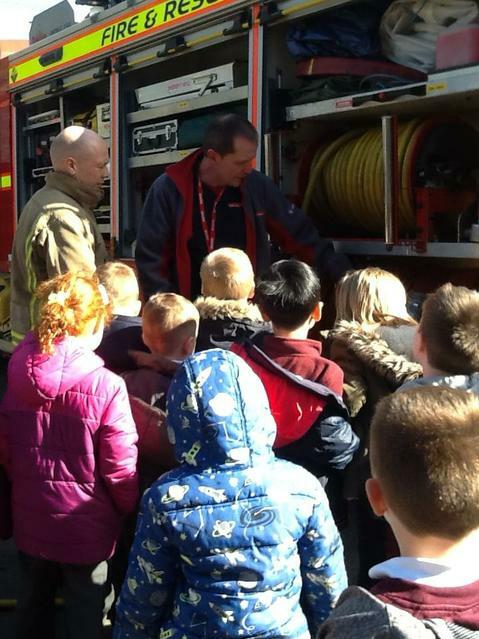 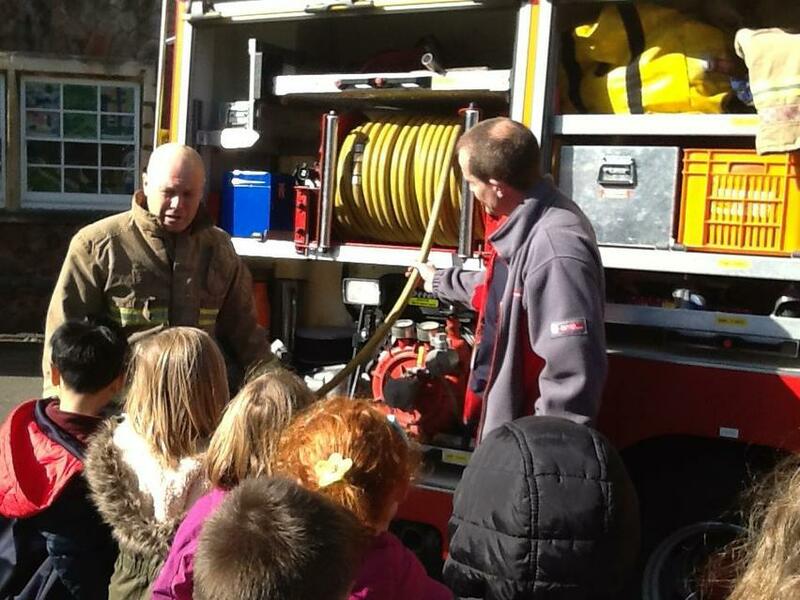 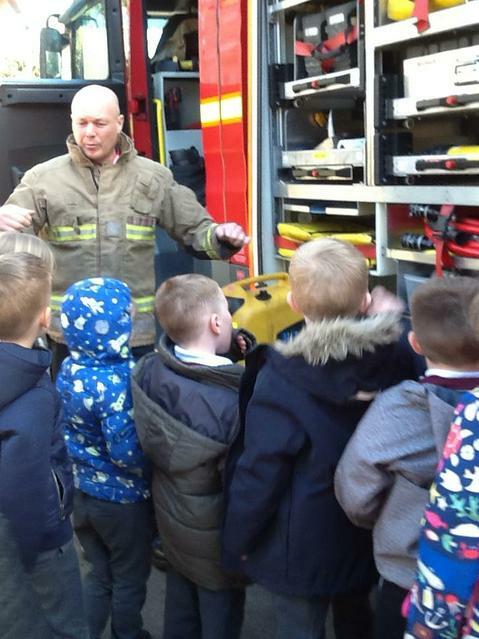 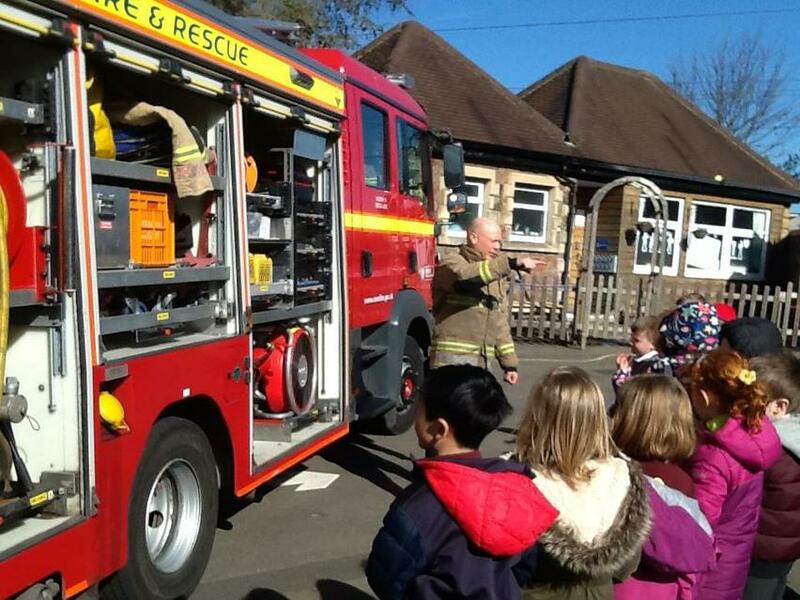 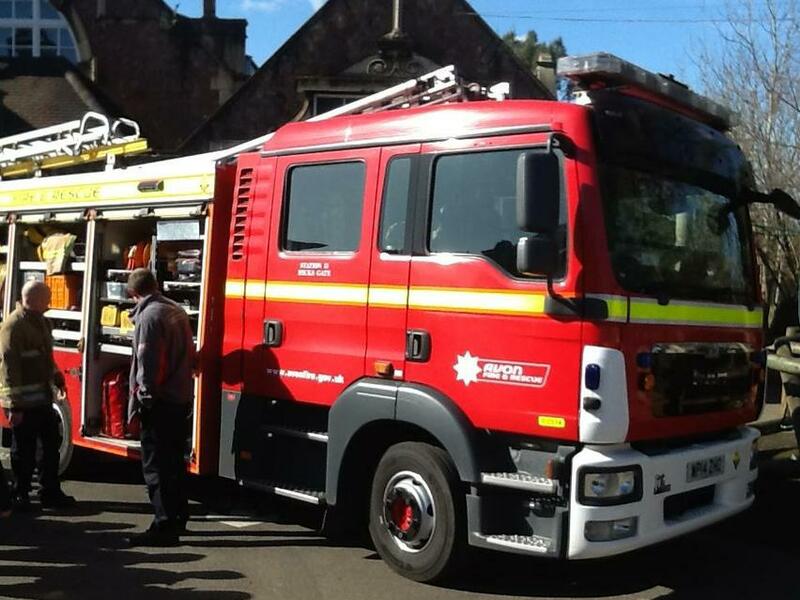 We were also very lucky as we were able to look at a fire engine and look at all of the equipment that they use. 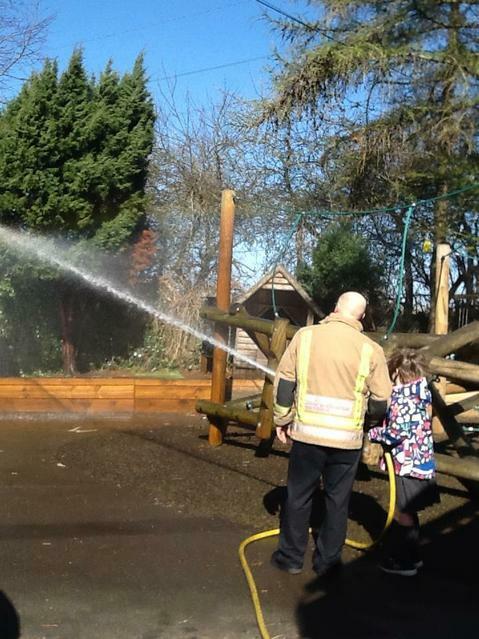 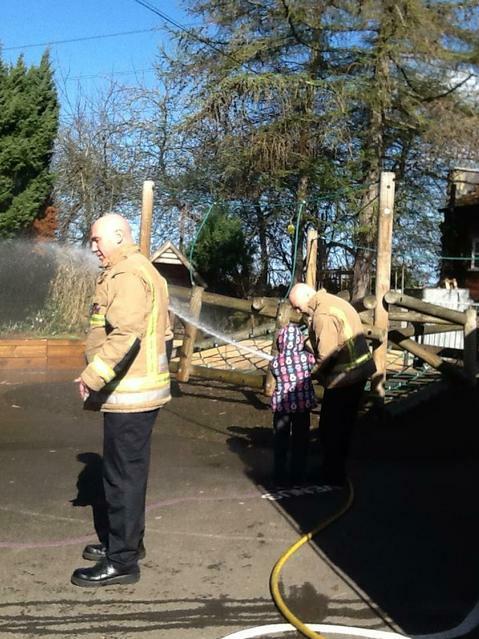 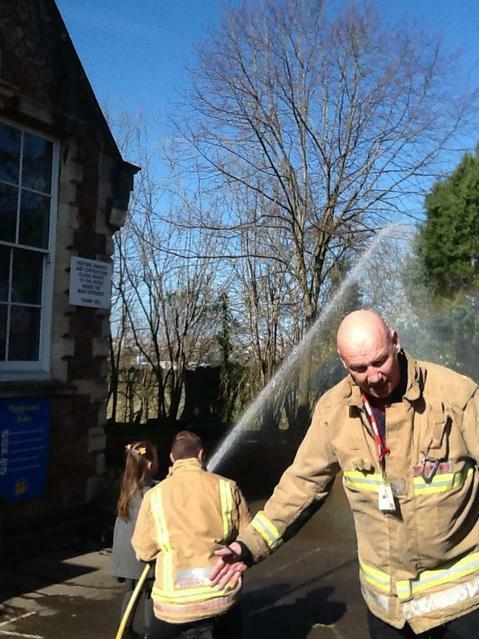 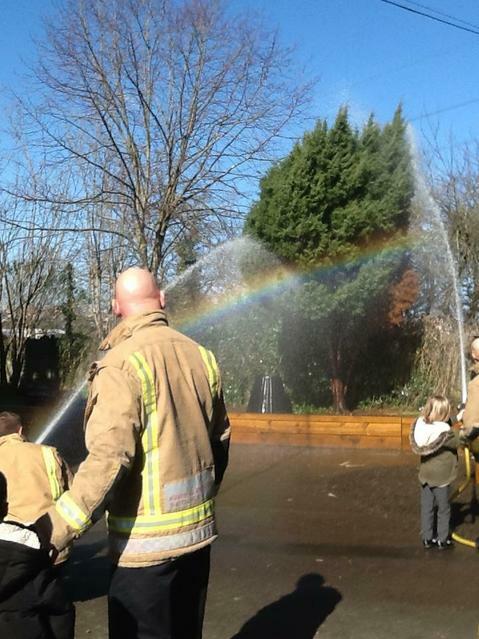 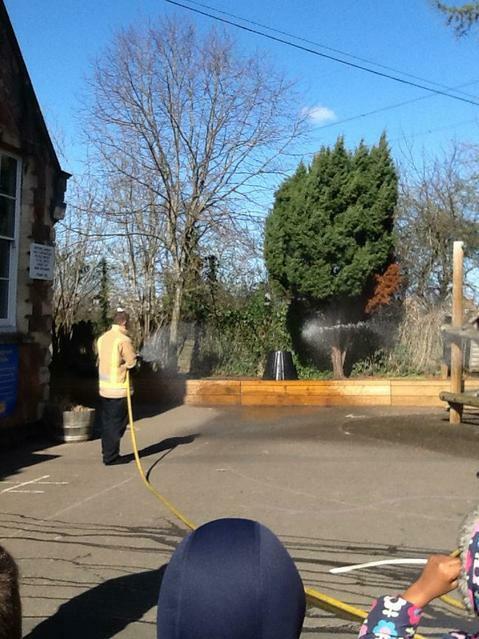 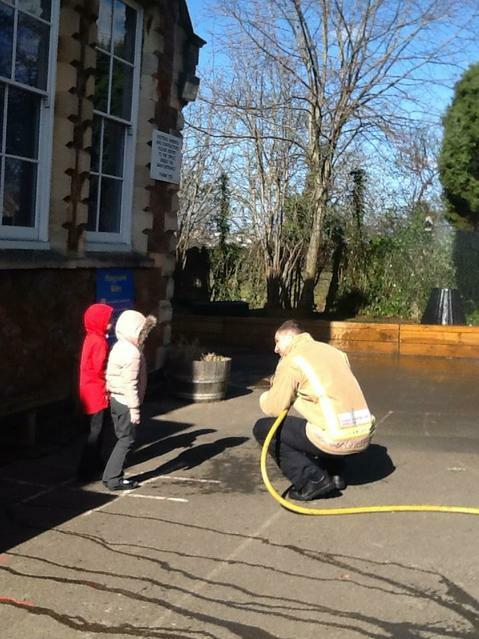 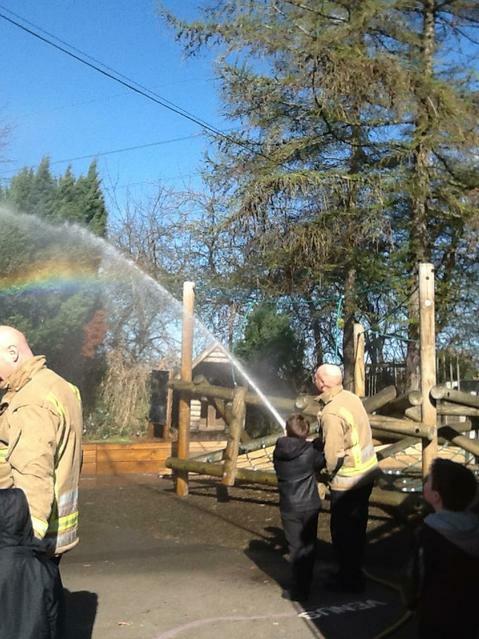 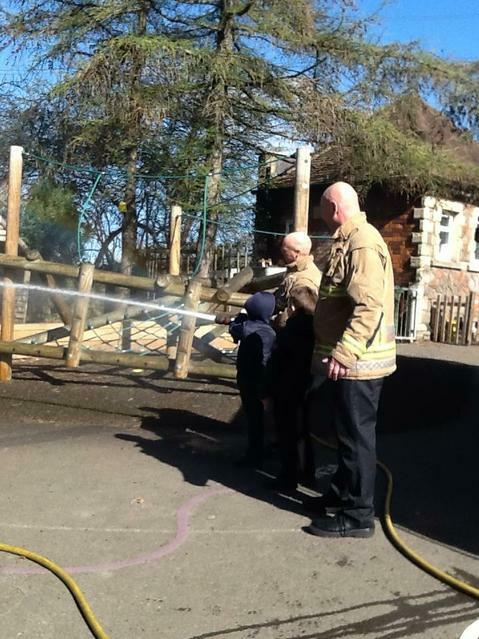 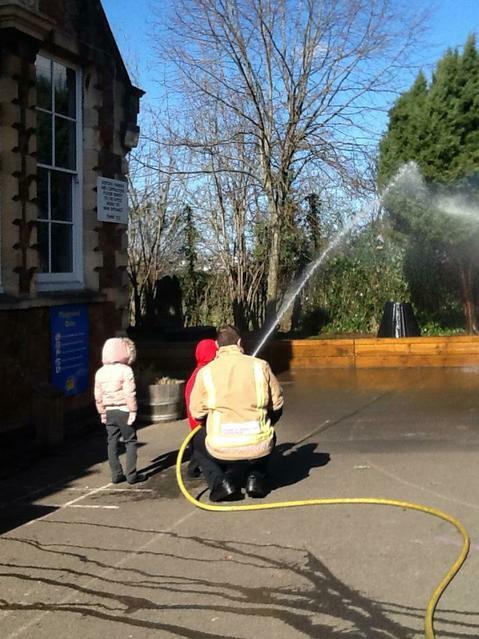 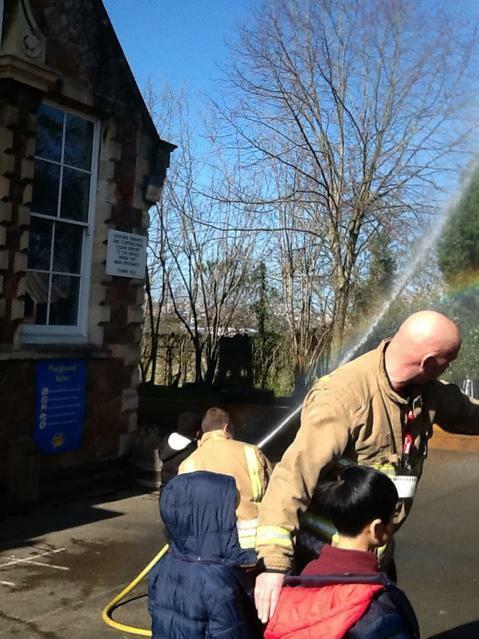 We also enjoyed using the hose to spray water, just like the fire service do in a real fire situation! 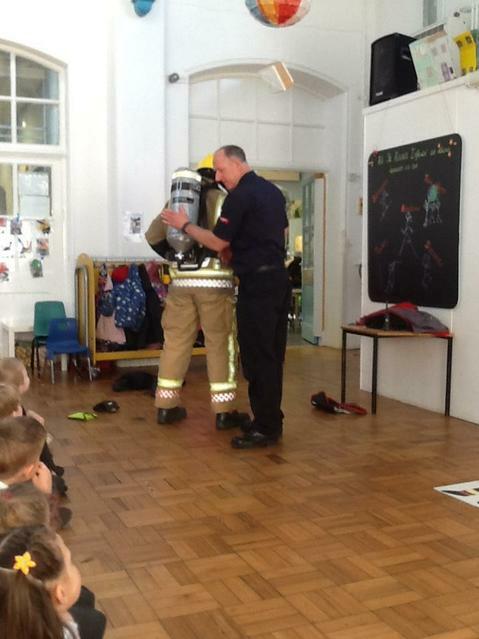 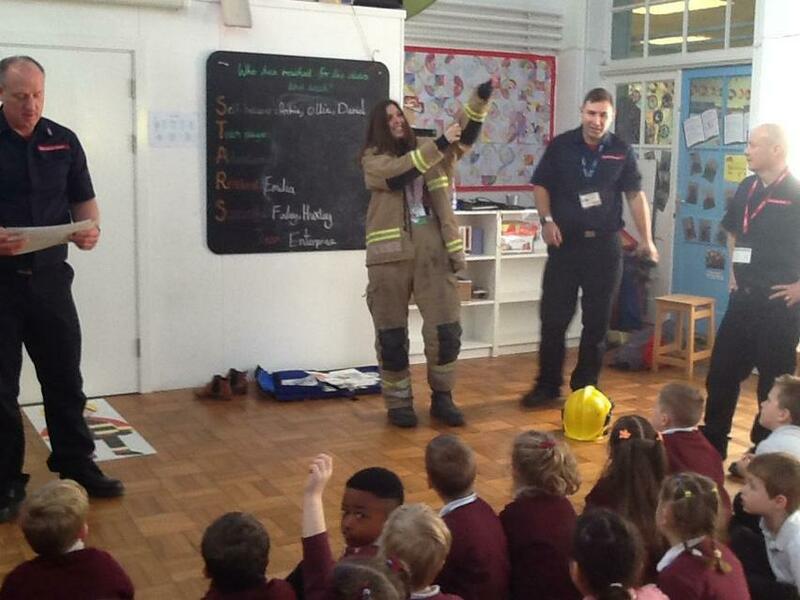 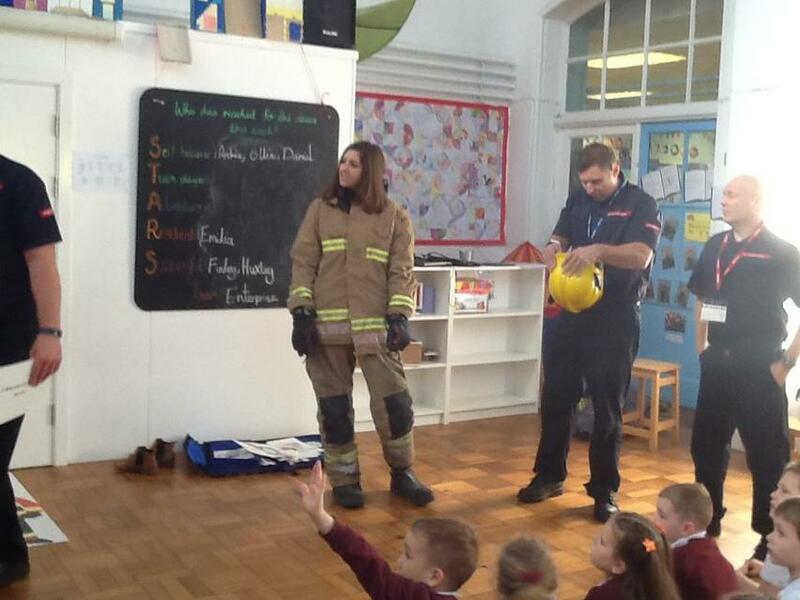 Miss Baker also enjoyed being able to wear a fire service uniform! 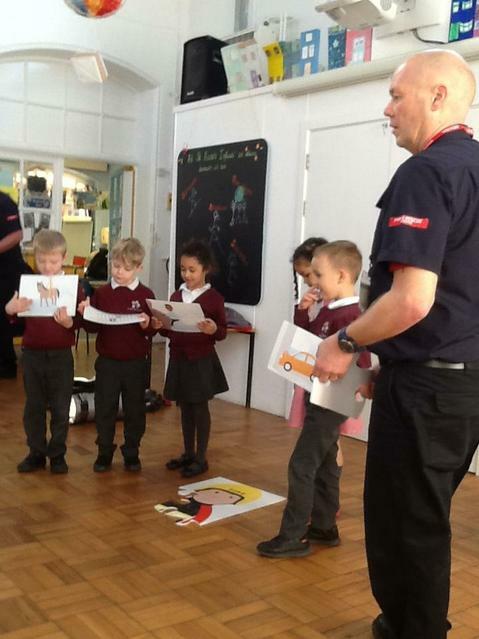 Ask us to tell you about what we learnt at home!